Born in Salisbury -lived at Chilworth-Southampton. 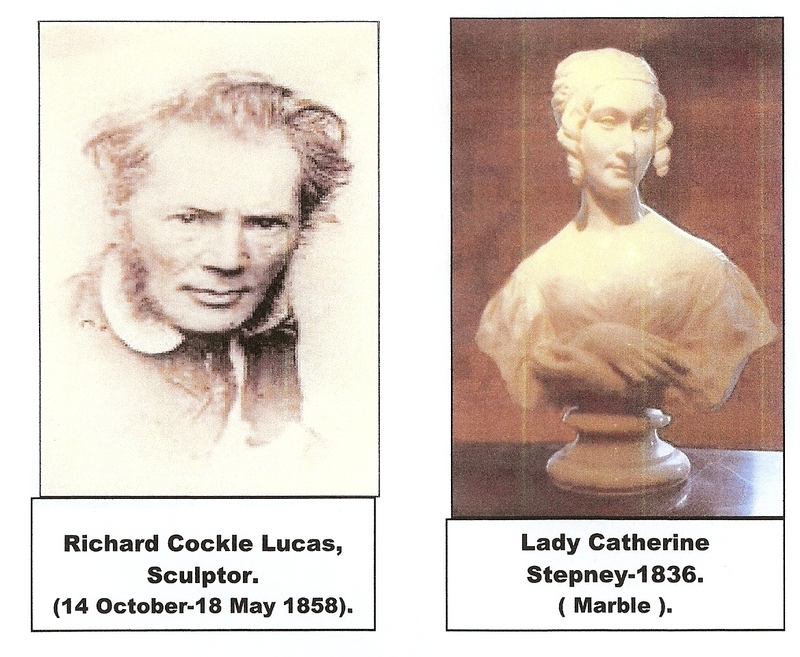 A man of great skill who produced work in a variety of materials-stone, plaster,marble & wax. In Southampton the Pearce Memorial in the Old Cemetery & Isaac Watts’s statue in West ( Watts’) Park are of fine quality & skill. His son Albert Durer Lucas has produced many beautiful paintings of wild flowers. Southampton’s Art Gallery has a collection but they are rarely exhibited for the public to enjoy. A number are on fee paying loans to private firms. Of his works I have seen my favourite is Lady Catherine Stepney-as illustrated.